Which superhero are you? 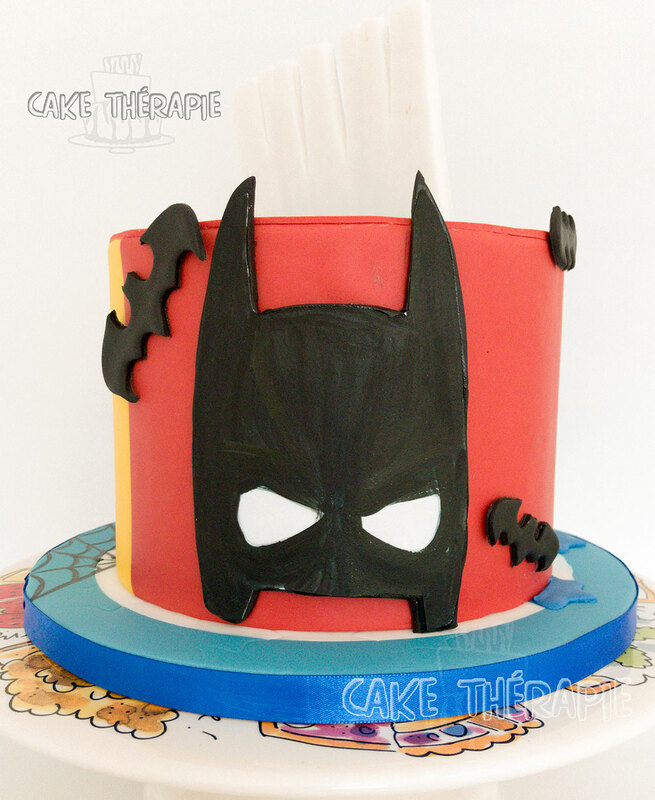 Do you have a favourtie superhero movie you can watch anytime anywhere? I will call myself a casual fan, the kind who likes to watch a superhero movie but don't indulge in deep involvement. 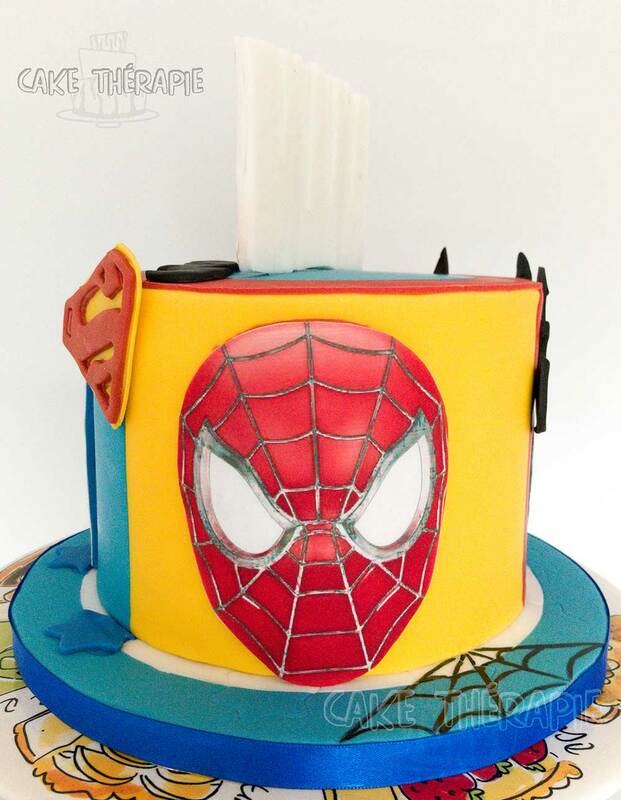 It is amazing how little boys are awed by these superhero characters in both comics and movies. And it is not just the little boys who go gaga over them but many adults too for that matter. Superhero movies does have a universal appeal across all age groups and gender. 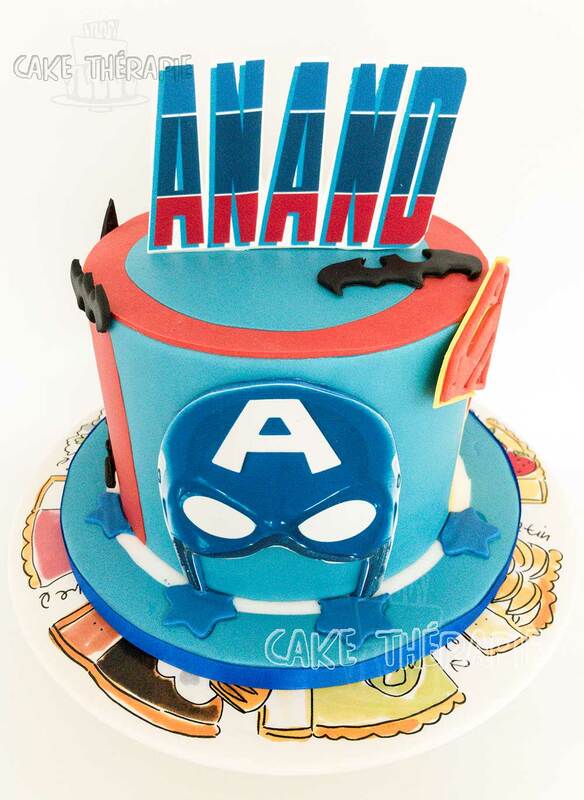 And thanks to them I have had a lot many opportunities to create cakes to add to my portfolio. 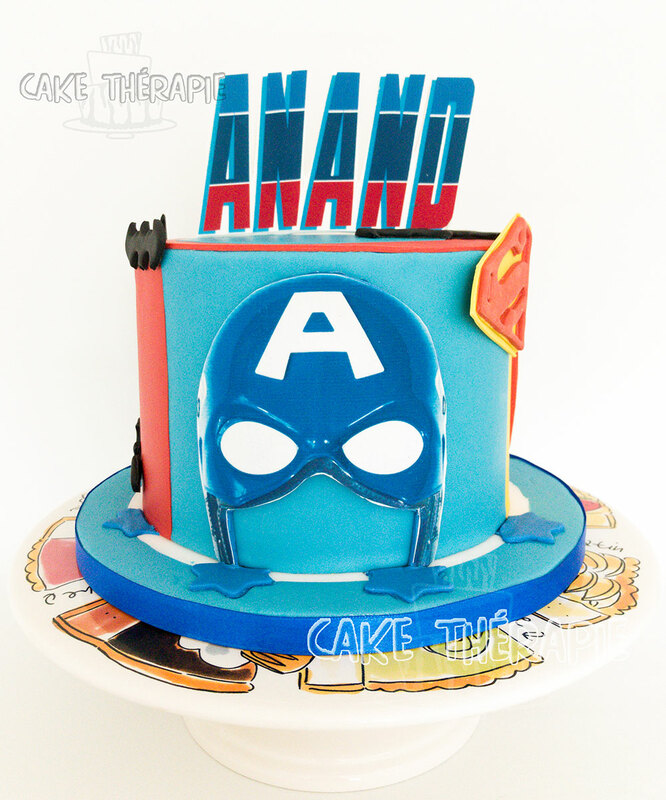 An action packed colourful cake filled with super powers for your birthday Anand:). Happy Birthday.